Leigh Eddings is David's wife and not the same person. Please do not combine David with Leigh, or with the various combinations of their names. (ger)Leigh Eddings ist Davids Ehefrau und nicht die selbe Person. David und Leigh bitte nicht miteinander oder den verschiedenen Verbindungen ihrer Namen kombinieren. 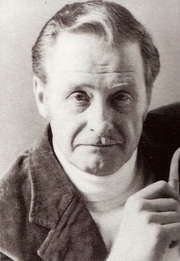 David Eddings is currently considered a "single author." If one or more works are by a distinct, homonymous authors, go ahead and split the author. David Eddings is composed of 5 names. You can examine and separate out names.